On March 24, 2012, The Godfather, Francis Ford Coppola’s organized crime family masterpiece, celebrates an anniversary – the 40th from the day it was released. To honor it, here is a look back at how the film and its sequels were received when first released. list. The public greeted this novel, about New York’s most powerful organized crime family, the Corleones, with open arms and enthusiasm. The novel’s impact is deeply entrenched in American pop culture and the ripples felt, not only in the three movies it spawned but in countless other films, television shows and books, since it was first published in 1969.
film were raves across the board. In fact, a negative one is difficult to find. 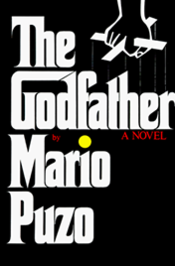 Vincent Canby, in his New York Times review published on March 16, 1972, wrote, “Francis Ford Coppola has made one of the most brutal and moving chronicles of American life designed within the limits of popular entertainment.” That review was one of the least enthusiastic available. Most were along the lines of “From the ‘I believe in America’ speech to the final shot…this is near flawless film-making. 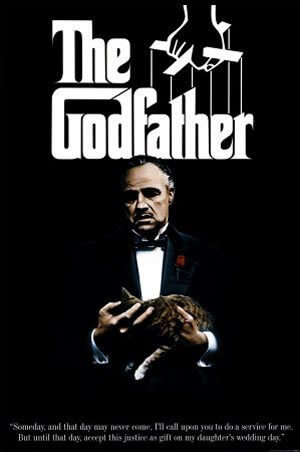 ‘The Godfather’ is one of the greatest American movies” (Kevin A. Laforest, Montreal Film Journal). Even all the reviews submitted to commemorate the film’s re-release for its 25th Anniversary in 1997 showed the film had not lost any of its appeal. These were all equally positive, and often even more so. Somewhat ironic that perhaps like revenge, The Godfather may be a dish better served cold for all its heat and passion – it never seems to go out of style. 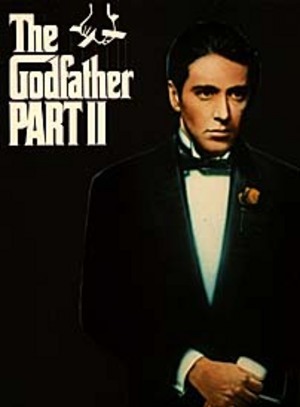 Of The Godfather Part II, Vincent Canby, in his New York Times review on December 13, 1974 wrote “The only remarkable thing about Francis Ford Coppola’s ‘The Godfather, Part II’ is the insistent manner in which it recalls how much better his original film was.” Clearly, the mountain this film and its filmmakers had to climb was no small task and many thought it fell far short of the apex. There was one review submitted by Dan Jardine of the Appollo Movie Guide that was very interesting and warrants mention because it illustrates perfectly the feeling The Godfather, Part II evoked in many people. He wrote “The mother of all sequels: a film at once both greater and lesser than its predecessor.” Many know exactly what Mr. Jardine means – feeling a deep connection with the first installment of this trilogy, its characters, its music, its mood, one can only deepen the feeling by revisiting these people and those places. Yet, there is a sense of loss for times that can never be again, simpler times and a much simpler movie. And then there was The Godfather, Part III. The reviews and acceptance here were (and are) mixed. Few reviews stood out as original. Most of them were negative in their comparison of this film to the previous two. Many critics felt that the film was a good one, which could stand on its own but as part of the trilogy it fell way short. Many agreed also that much of the luster and richness of Parts I & II are missing in this film. Without a doubt, it is the least-looked upon of the trilogy and many thought it a huge disappointment. The one exception found was Roger Ebert’s review. Mr. Ebert gave this film 3 1/2 stars and thought it superior to Part II. Lots of argument to be had there, but not from me. I would never make a comparison between Part III and the first two installments of The Godfather – there simply is none to be made. How can any film be compared to two of the best movies ever made? On its own merit, however, The Godfather Part III is far from a bad film. Despite all the reviews – positive or negative – The Godfather Trilogy carries a very impressive resume. A resume, I’d venture to say, unequalled in the history of cinema. Together these films received 28 Academy Award nominations and won 9, including the Best Picture Oscar for the first two films. 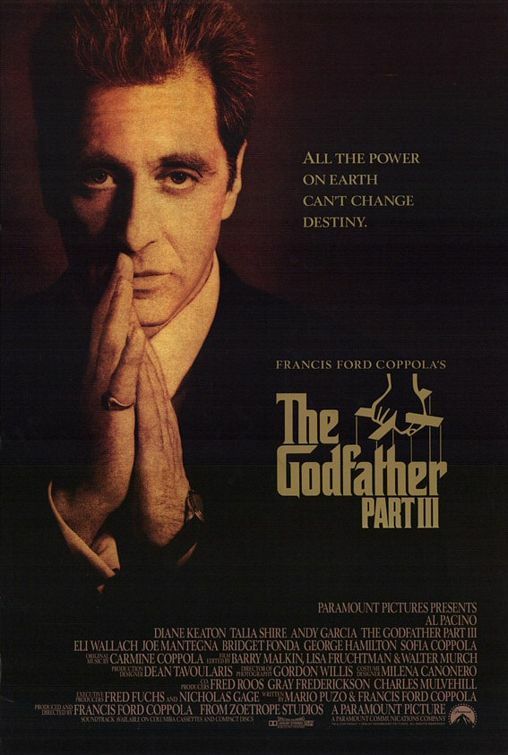 The Godfather was the top grossing film of all time for three years running. Part II was the first sequel to ever win the Academy Award for Best Picture and the first picture ever to receive 5 Oscar nominations for acting. Parts I & II are both on the American Film Institute’s list of “100 Greatest American Movies of All Time,” listed at #2 and # 32, respectively. 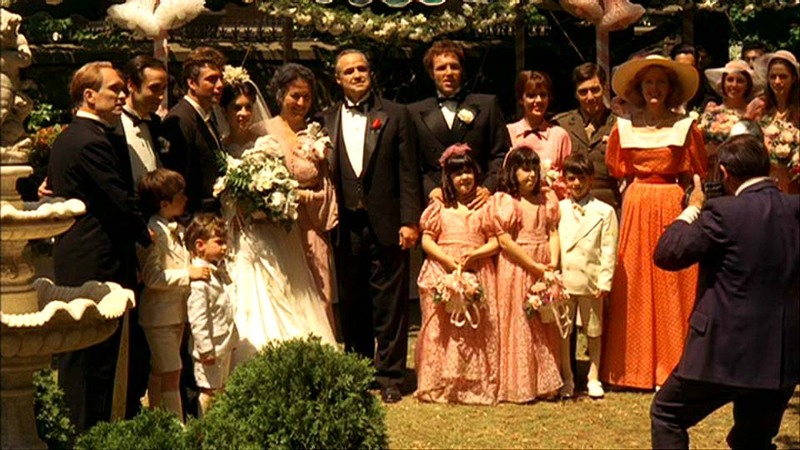 Both I and II are on Roger Ebert’s list of Great Movies and was voted #7 on TV Guide Magazine’s list of “50 Greatest Movies on TV and Video” (August 8-14, 1998), The Godfather, Part II took top honors on that list, ranking #1. The Godfather was voted the “Greatest Film of All Time” by the readers of Entertainment Weekly; its sequel placed 6 rankings behind at #7. Both Parts I & II are on Time Magazine’s “All-Time 100 Best Films” and IGN FilmForce lists The Godfather as the #1 “Top Drama of All Time” with Part II as #7 on that list. And on and on – it is, in fact, difficult to see any “great films” list, whether by a fan or an established “expert” where one or both of these films is not listed or mentioned. with lists of “bests.” But it is still an impressive array of mentions, which show, to some degree, the impact these films have had and continue to have. By anyone’s standards the mentions also show that where we are all concerned, all that is The Godfather remains La Cosa Nostra, our thing. Here concludes yet another mention for The Godfather. Aurora, an impeccably researched post about the critical responses to the three GODFATHER films. I always find it interesting to read what people thought about a film when it was released. When I was in college, I’d sometimes go to the library to read old New York Times film reviews (I had no social life and the Internet didn’t exist). Have you seen THE GOLDFATHER SAGA, a version of Part I and II which Coppola edited into one chronological film? It’s quite good, actually, and I typically didn’t like when filmmakers tamper with their works. I too consider myself a “film purist” in that I always prefer theatrical release versions of films – good or bad. Somehow, however, the re-edit of the Godfather I & II into the Saga doesn’t seem to offend my sensibilities. I love it and would love to have it on DVD or bluray. So many great scenes omitted from the originals are included in the Saga, making it a unique production. Also, the affection for these characters makes them ever welcome in any form. Mia familia.